The new tenant payment window is now available, and it includes split transaction support! You can now receive a single payment, and apply it to multiple properties or categories. Just last week we rolled out CAM support, and this split payment window compliments that. For example, you may receive a single check from a tenant and part of it applies to rent, and the other part to the CAM charge. 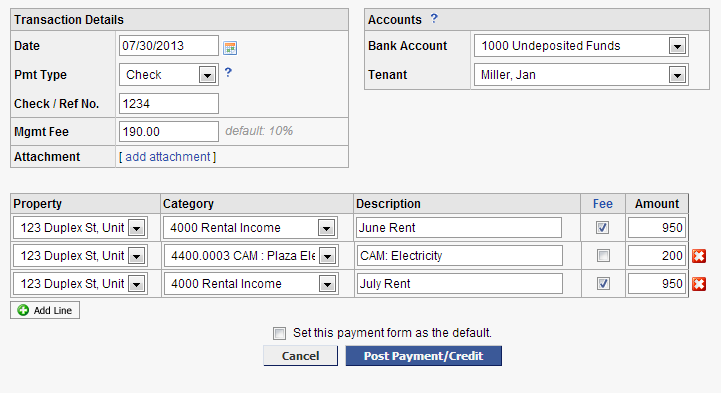 Or maybe you want to record a single payment that encompasses multiple months of rent individually by month. All these scenarios are now accommodated with the split payment window as shown in this example. 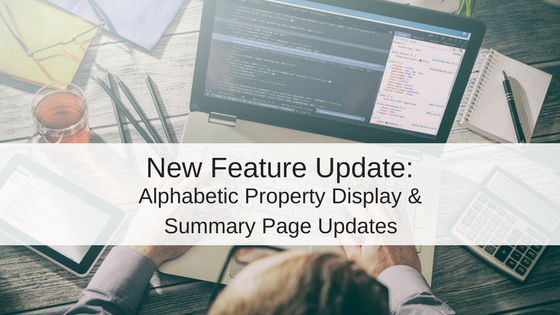 To use this new feature, post a tenant payment like normal, and click the option at the bottom of the window to upgrade to the new payment form. You can always switch back if you wish by going to Settings, Advanced Settings. Thanks for the feedback. When you edit a split transaction, it opens up a similar screen to the entry screen with split support. But currently, if you edit a non-split transaction, you’ll see the standard edit screen. We may be able to add functionality in the future to convert a non split transaction into a split transaction.